Of all the warblers that we can see in the eastern US, some are pretty common - birds that breed in our area or are conspicuous. Like the Common Yellowthroat. For Pete's sake, it has the word "common" right in the name. Easy to see in spring, summer and fall. Others are pretty rare or secretive making those birds a big target for birders. Warblers like Mourning or Connecticut. Finding either of those warblers elicits text messages and alerts. 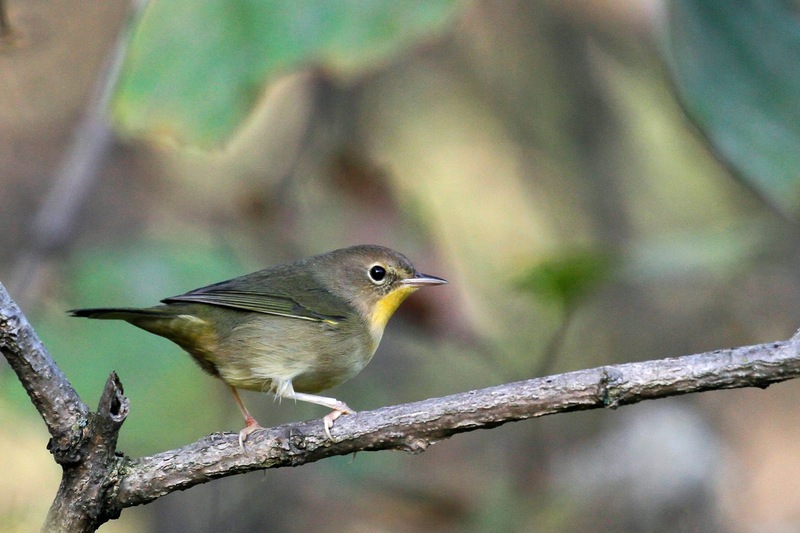 A Swainson's warbler makes ABA Rare bird lists. I've only seen these birds a few times and none this season. And still others may easier for some birders to see than others. 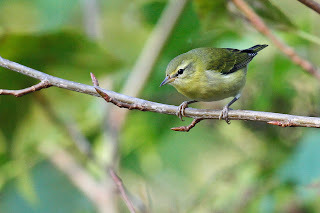 These warblers migrate through each year and plenty of birders see them. Sighting these birds doesn't warrant a text message. 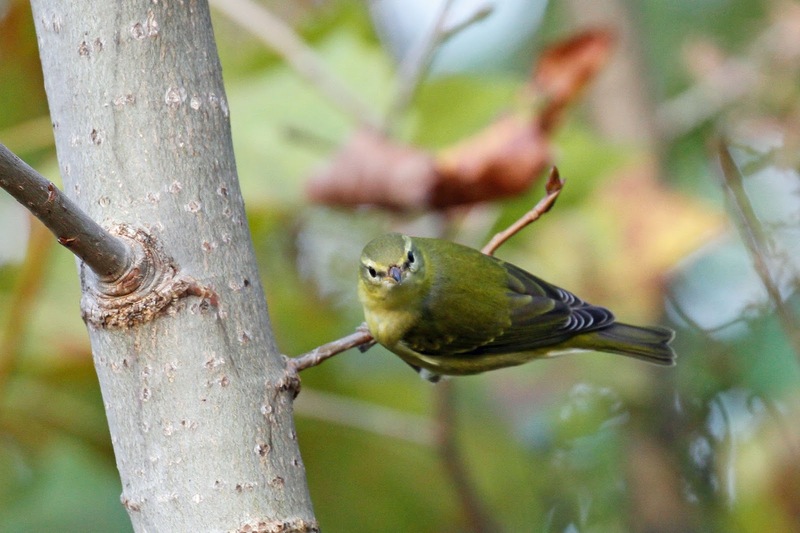 Birders talk about the sightings in common conversation. Mostly, these birds either elude me or give me a fleeting look without photo opp. Nashville, Wilson's and Tennessee fall into this category. Tennessee warblers are very bland looking by comparison to Blackburnian or Golden-winged warblers but they have a magic all their own. 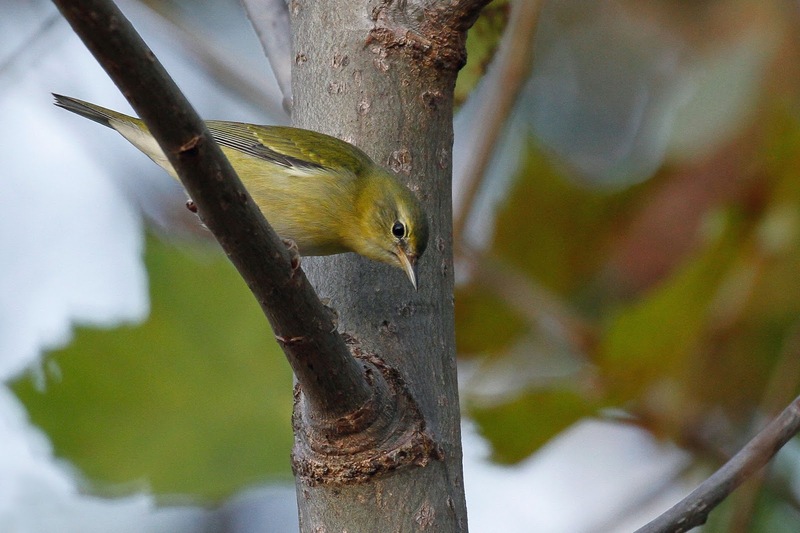 I regularly miss seeing Tennessee warblers which is why I'm so confused by the past month. So far, I've spotted at least 5 of them. One day, there were even 2 together. I'm going out on a limb with the ID. Maybe the birds are another species? I checked the field guides. Overall green, no markings on the wings, light eyebrow, short tail. I finally got some decent photos after seeing the bird for 3 days in a row. What do you think? I really hope it is a Tennessee warbler or I'm going to be really embarrassed.